In many homes, the kitchen is the heart of the home. 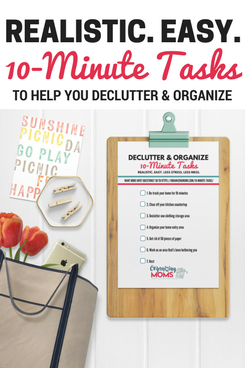 I spend a ton of time in my kitchen, and I am always on the hunt for great kitchen organization and storage ideas to keep it free from clutter. If you are needing to find kitchen items a home to get your kitchen or pantry organized, maybe this article can help. 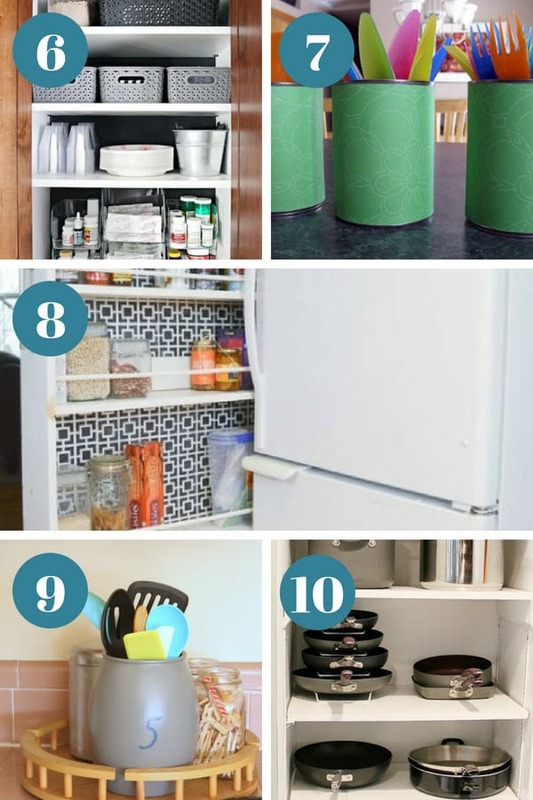 I will share a handful of kitchen organization hacks to make your kitchen feel more neat and clean – even if you’re organizing a small kitchen! Want to save these ideas for later? 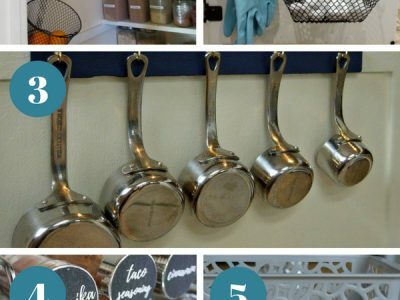 Pin 10+ Clever Kitchen Organization and Storage Ideas to your favorite Pinterest board! 1. Pantry On A Budget | If your budget is limited but you want to get your pantry in order, consider these tips and ideas you will find here. 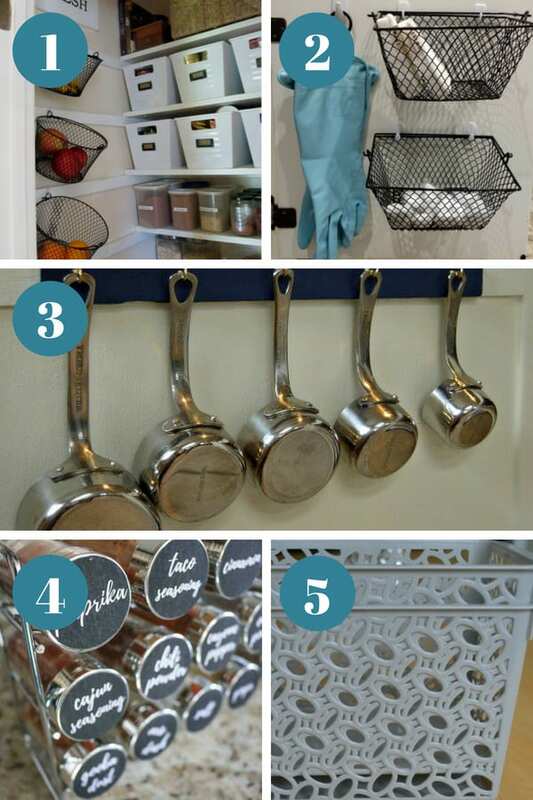 Lots of great ways to give each item in your pantry a home and get it looking clutter free. 2. Under the Sink | Don’t even get me started on what a mess my under sink area used to be. Now you can create a clean space to store items and not be scared if someone opens up the cupboard door. 3. Measuring Cups | Don’t just cram them in your silverware drawer, create a space to put your measuring cups that won’t look cluttered! 4. Spice Cabinet | Get your spice cabinet in order once and for all. Don’t knock all your spices over just to find the garlic salt. Create a system that works. 5. Food Containers | We all got them, so why not keep your food containers in one spot so you can find the container and the lid without going through every drawer in your home. 6. Cabinet and Drawers | These two areas collect clutter and quick. Find out ways to create an easy system that helps give food and dishes a place so it doesn’t just get tossed in. 7. Kid Items | If you have kids you know their silverware, sippy cups, and more take up space. Find creative and fun ways to store their items. 8. Small Kitchen Organizing | Have a small kitchen? Check out these tips to help you get creative and work with the space you do have. 9. 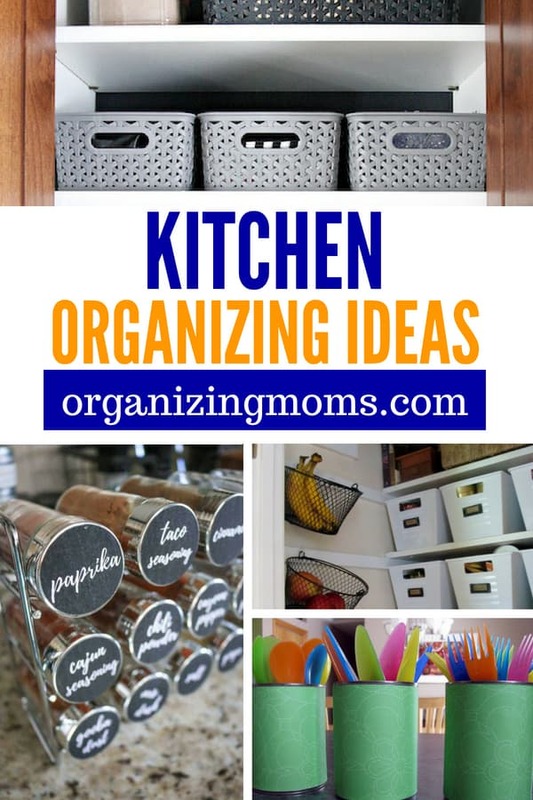 Overall Kitchen Organizing | This is a great one to read as you can cover a handful of problem areas that need some TLC in your kitchen and gain inspiration to make a change. 10. Pots and Pans | Our home always needs help with pots and pans, it can become a jumbled mess in a hurry. Here are some great tips on getting your pans in order.